William Curry was a native Wacoan born September 18, 1894. He attended our public school system and then graduated from Toby’s Business College. Curry’s career was spent in the lumber industry. He began with the infamous William Cameron Company in 1910 but left in 1917 for the W.F. & J.F. Barnes Lumber Co. They hired him as auditor until 1937 when he was made secretary-treasurer of the same firm. 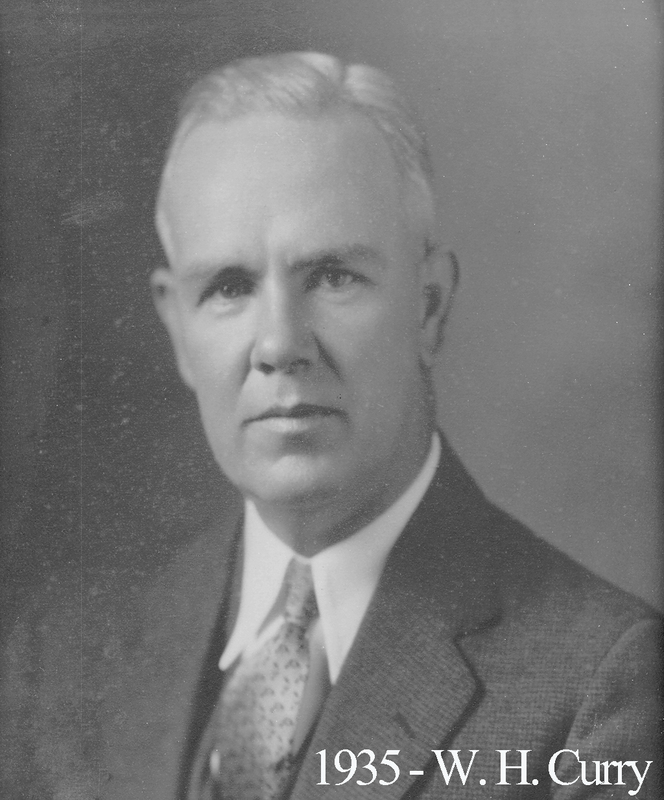 After the death of JF Barnes in 1949, they elected him President of the entire company. Curry’s face was well-known at Columbus Avenue Baptist Church where he rarely missed a service. He was a Rotarian and a president of the Waco Knife and Fork Club. He served as Director of the Waco Chamber of Commerce. Ascending to the East in 1934, Curry was faced with tremendous pressure as the Depression was weighing heavily on society and masonic activities. He pushed hard to renew interest in the lodge and in the years after his time in the East, the brethren remembered him for serving “willingly and capably whenever and wherever called.” In 1945, Curry was appointed District Deputy Grand Master for our district. In 1968, he published a book titled “A History of Early Waco with Allusions to Six Shooter Junction.” In it, he gives details about life in early Waco and relates many stories about incidents that gave Waco its wild west reputation. He also gives room for addressing specific instances of mob violence in early Waco, something that has brought our city a lot of negative attention in recent years. 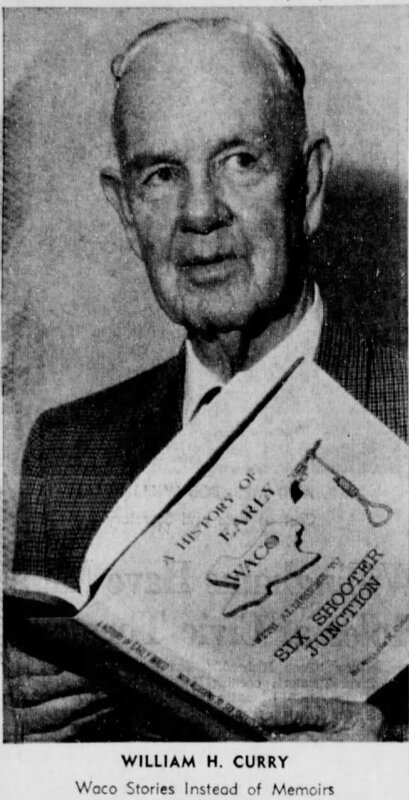 Curry condemned the mob hangings and their like as “repulsive” but necessary to include with his book in order to provide an accurate of account of Waco history. He was named to Waco Rotary’s Hall of Fame in 1974 and passed away in 1976.